Pour vous plaire mieux ? I believe I’m the only brown girl in the world. – Must I be White? 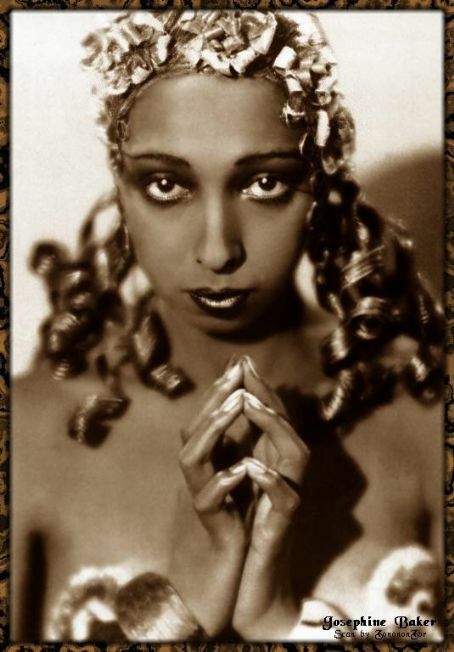 Josephine Baker (1906-1975) was born in St. Louis, Missouri, USA. She started out in near-poverty and at 12 years old she was dancing on street corners and living the life of a street child. Her birth coincided with the era of Ragtime and the evolution of Jazz – those first popular, native American musics that came out of Black-American life. By the age of 16 – in 1921 – she’d made her way to New York City where the Harlem Renaissance was gathering steam. She worked as a dancer and chorus girl in Broadway revues. 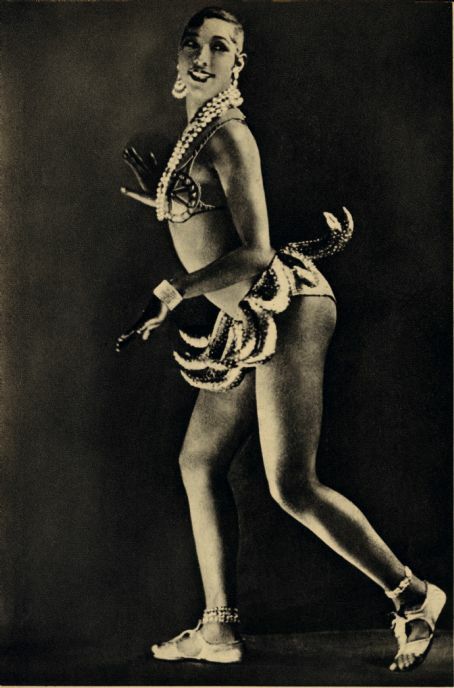 In 1925 she set out for Paris, where she became a sensation in an all-Black spectacle, La Revue Nègre. Her athletic style of dancing, her modern sexiness and humorous facial gestures were something the French had never experienced; she was a complete original. She was a cheeky prankster and a clever self-promoter, using the gimmick of her pet cheetah, Chiquita – who wore a diamond collar – to enhance her “exoticism”; Baker would release the animal – an alter-ego of sorts ! – from the stage so it could go a-prowling in the orchestra pit and slinking through the theatre. Yet the Black-American experience of her childhood – St. Louis, like many U.S. cities, was rife with segregation, Whites-Only “laws” – placed a fierceness at the core of her exuberance. Happily she became a French citizen in 1937, spied for France in Nazi-occupied Paris during World War II ( – Hitler’s belief in his “Master Race” included the exclusion of Blacks as well as Jews, and Baker’s husband during the 1940s was Jewish – ), receiving the Croix de Guerre, France’s highest honour. She adopted 12 children of different races and birth-nationalities, calling them “my Rainbow Tribe”, and raised them in a fantasy-château, realizing – in France, of all places – an oh-so-American Dream of wealth and celebrity. Baker became fluent in her adopted country’s language, but sang also in English. We feature here one of her French “chansons” – “Si J’étais Blanche” (If I were White), from 1932 – which Baker performed in “white face”, wearing a blonde wig – an act of sophisticated minstrelsy that held up a double-mirror to the audience.